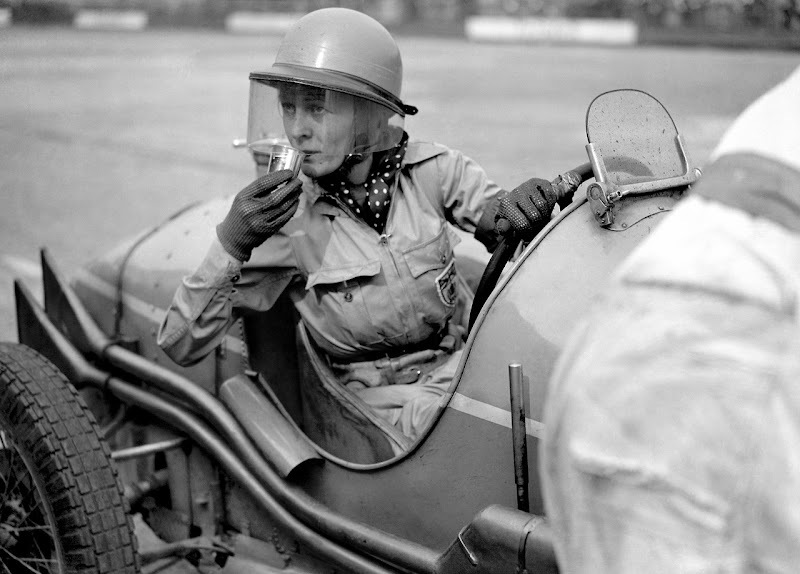 Tomboy Style: SCENE | Brooklands Race Track, 1936. SCENE | Brooklands Race Track, 1936. Photo of Doreen Evans at Brooklands in 1936 via Flashbak (found via the Hand-Eye Supply blog). Wanted to say how incredible all the comments were on Monday's post on feminism, you guys are the best. The best. Favorite new tunes by the band Mt. Si. Check out the Kickstarter for a book called LOLA that promotes healthy and sustainable choices for girls.